Thus begins this riveting story of a woman’s quest to understand her recently deceased mother, a glamorous, cruel narcissist who left her only child, Elsie, an inheritance of debts and mysteries. While coping with threats that she suspects are coming from the cult-like spiritual program her mother belonged to, Elsie works to unravel the message her dying mother left for her, a quest that ultimately takes her to the South African family homestead she never knew existed. Gina Sorell is a writer who was born in South Africa and now lives in Toronto with her husband and son. 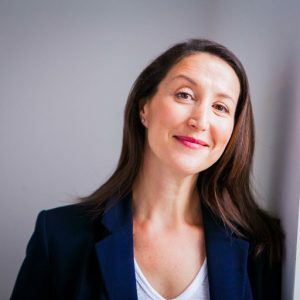 After two decades as a working actor in Los Angeles and Toronto, Gina returned to her first love, writing, and graduated with distinction from the UCLA Extension Writers’ Program. When she isn’t writing fiction, she’s the creative director of Eat My Words, a San Francisco–based branding firm. 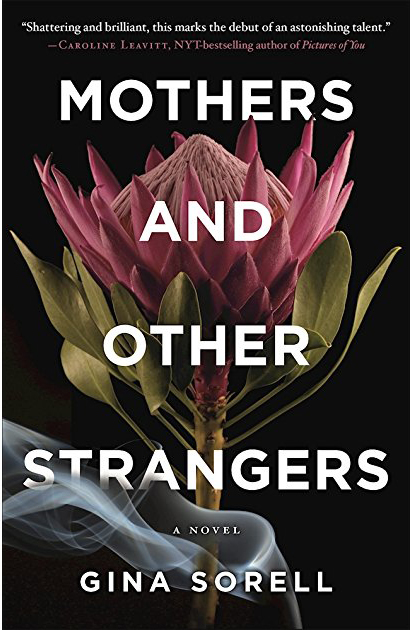 Mothers and Other Strangers is her first novel. 1. Think about the first line of the book: “My father proposed to my mother at gunpoint when she was nineteen, and knowing that she was already pregnant with a dead man’s child, she accepted.” Why do you think Sorell started the novel the way she did? 2. Why do you think Sorell called the novel Mothers and Other Strangers? What is the deeper meaning? 3. Forgiveness is something that the characters struggle with throughout the novel: how to forgive others, and how to forgive themselves. At what point in the book do you think the characters were right to forgive each other? And do you agree with them when they chose not to? 4. Sorell moves gracefully back and forth in time to show the past impacts the future. Do you think we can ever escape our pasts, and should we want to? 5. Mothers and Other Strangers is told from one point of view. How do you think it would differ if it were told by the other characters? Which character’s perspective would be the most interesting to read? 6. Given what you’ve learned by the end of the novel, why does the opening story become so important? 7. The book explores the process of making choices that define us. Were there choices that the characters could have made that would have changed the course of their lives for the better? Were there choices that you could’ve made in your own life but didn’t, that would’ve changed yours for the worse? 8. Discuss the complicated nature of parent-child relationships that Sorell writes about. How do they relate to other such relationships you’ve read about? To your own? Do you think the sins of the parent fall on the child? Why or why not? 10. Identity is a strong theme in the book—who we are, and who we identify or want to identify with. Do you think that Rachel would have had an easier time accepting who she was if her mother had been able to do the same? And how did Rachel’s need to identify with a group inform Elsie growing up? 11. In the novel, Elsie has a lot of difficulty conceiving a child. Why do you think Sorell used this as a branch of her plot? How did it affect the story overall? 12. One theme seen throughout the book is who we belong to and why—be it husband and wife, lovers, or, in this case, paying homage to a cult. In creating the Seekers, what do you think Sorell is saying about true and false communities? 13. How do secrets shape the characters lives in Sorell’s novel? How do you think Elsie’s life would be different if she had known the truth about her mother from the start? 14. Sorell turns everything we thought we knew about her characters on its head by the end of the book. What do you think this says about who we are and how we get there, and how difficult it is to redefine ourselves? 15. Consider the last page of the book and the last line. Why do you think Sorell ended the book the way she did? Could there have been an alternative ending? What do you think it would be?